Your sleeping posture may be comfortable, but it could ultimately be the cause of some health issues. Improper sleep positioning has been linked to neck/back pain, poor circulation, sleep apnea, next day fatigue and even premature wrinkles. For the appropriate amount of sleep and tips to fall asleep faster, visit yourfootpalace.com/regular-sleep-promotes-healthy-minds/. For the common sleep positions and how they compare to one another, read on. Side Sleepers (Arm’s/Leg’s straight): Over 15% of adults find this position to be most comfortable. Although relatively few people sleep this way it does show to have positive benefits, notably its help for those with sleep apnea. Because the body is on its side gravity prevents the tongue from falling back into the throat passage, restricting airflow. This position has also been shown to help with acid reflux and alleviating back pain since the spine is elongated. The only downside to this is the increased likelihood of wrinkles via face to pillow contact throughout the night. Side Sleepers (Fetal Position): By far the most popular sleep position with 41% of people favoring this pose, the benefits are fewer but the comfortability is definitely greater. This position is ideal during pregnancy (specifically lying on the left side) because it helps improve circulation in not only your body but the baby’s as well. Lying on your left side can also help relieve pressure being placed on your liver when you sleep. Although this is the most comfortable position, sleeping with your knees too tightly tucked and your chin tucked down into your chest/pillow can tighten the diaphragm, making it harder to breathe and leaving you sore in the morning. A trick to help with posture in this position is to tuck a pillow in between your knees. Stomach Sleepers: A majority of people find this pose to be uncomfortable and understandably so. Because you are on your stomach your neck and spine have a hard time lying flat, especially with a pillow under head, causing serious neck and back the next morning as well as trouble breathing. The upward angle of the neck constricts air flow and this is more so the case when the head is turned to either side. This angle also puts the most stress on the lower back of any sleeping position. Back Sleepers: Without a doubt, sleeping on your back allows for the greatest amount of support along the spine and neck. This support as well as spinal elongation helps to prevent upper and lower back pain as well as keeping your neck in a neutral position throughout the night. Keeping a pillow underneath the head will prevent acid reflux occurring during the night. One of the only downsides to sleeping on your back is airway blockage from your tongue. This can be a serious threat to those with sleep apnea due to the increased lack of breath. Your snoring might increase but with no face to pillow contact your likelihood of developing wrinkles earlier in life will definitely decrease. Although posture plays an important role in your sleep there are other factors such as your mattress and pillow type. For side sleepers placing a pillow between your legs helps to correctly align the spine. At the end of the day everyone falls asleep in the position which is most comfortable for them, but taking your health into consideration might just help you make the switch to a better night’s sleep. For me, waking up to a hot shower is one of the most relaxing ways to begin the day. However, there is the occasional morning where I am the last one to make it into the shower, leaving me with nothing but icy water and frustration. Despite how much we all might dislike cold showers, the benefits of taking them far outweigh the negatives. In addition to your active wellness therapy at Foot Palace, simply turning the shower temperature down may help to improve your long-term physical and mental health. Although that hot shower may be the most comfortable way to wake up in the morning it may not be the best for your skin. Hot water can leave your skin dry and itchy long after you’ve gotten out of the shower, so it’s best to use cold water to tighten those pores which helps to prevent clogging. This tightening of the pores helps to prevent dirt and sweat from being trapped inside. 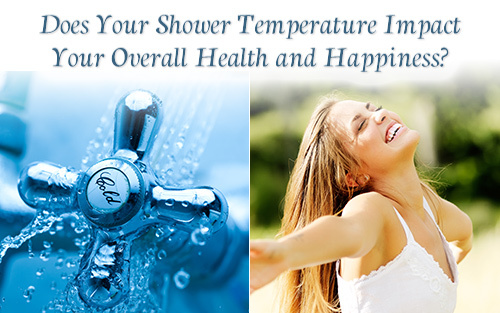 Not only do cold showers show positive results with skin but with hair as well. The cold water helps to tighten the follicles, leaving you with the appearance of healthier, stronger and shiny hair. Surprisingly enough, research has shown that cold stimulation can actually lower stress levels. When exposed to cold stimuli the body increases its glutathione, an antioxidant that helps keep other antioxidants performing at optimal levels in the body. A 1994 study found a drastic decrease in uric acid levels during and following the body’s exposure to cold. According to the study repeated exposure to cold water led to adaptation of oxidative stress. Cold showers have been shown to relieve depression symptoms due to the intense impact of cold receptors in the skin, which send an overwhelming amount of electrical impulses from the peripheral nerve endings to the brain. Thus, it produces an antidepressant effect, and boosts moods, making it a pick-me-up. A 2008 study found that cold hydrotherapy has an analgesic effect, and does not appear to have noticeable side effects or cause dependence. This treatment included one to two cold showers of 38 degrees Fahrenheit, two to three minutes long, followed by a five-minute gradual adaptation to make the procedure less shocking. We all know taking ice baths after training can reduce muscle soreness, but a quick cold shower after breaking a sweat at the gym can be just as effective. A 2009 study analyzing 360 people over seventeen trials found that 24-minute cold water baths were effective in relieving sore muscles one to four days after exercises with a water temperature of 50 to 59 degrees Fahrenheit, or 10 to 15 degrees Celsius. Cold water can improve circulation by helping blood to surround our organs, which can then help combat some problems of the skin and heart. When cold water hits the body, its ability to get blood circulating leads the arteries to more efficiently pump blood, boosting our overall heart health. It can also lower blood pressure, clear blocked arteries, and improve our immune system. If you enjoyed this information, visit yourfootpalace.com/10-wellness-tips-to-a-healthier-you/ for other health and wellness tips, and consider turning down your temperature so you can experience these benefits. The cognitive skills we depend on in our daily lives are affected when we fail to get good sleep. Our abilities to focus, concentrate, reason, remember and make good judgment calls all suffer from lack of sleep. Our Foot Palace health team uncovered ongoing research that suggests our brains depend on a nightly bath, of sorts, to keep them functioning at their best. Not getting enough sleep or not sleeping deeply enough, hinders your brain’s ability to perform this nightly flush, possibly leading to a less productive day. For the average person, a lack of sleep could translate to the inability to focus on what’s being said at a meeting, to gather information assemble it into an important report, or to engage with co-workers in a collegial and collaborative manner. The gold standard for sleep is six to eight hours nightly, and evidence suggests the average American adult is getting at least that much. But just depriving yourself of an hour a night adds up and can have cumulative effects on your mental status throughout the week. Going to bed early and staring at the ceiling does not make for more efficient sleep, and taking a hot bath raises your core body temperature, when your body actually requires a half-degree drop in temperature to trigger its nightly shut down. And what about those people who say they just function better on less than the recommended hours of sleep? So the next time you’re tempted to work late and burn the midnight oil, remember: sacrificing sleep could actually put you at a disadvantage. Putting in regular hours with a clear mind is more beneficial than overtime on limited sleep, and you’ll feel healthier for it. Between your eyebrows, there is a small depression on the level of your brows, right above the nose. Apply gentle pressure to that point for a minute. • Between your first and second toes, on top of the foot, there is a depression. Press that area for a few minutes until you feel a dull ache. • Imagine that your foot has three sections, beginning at the tips of your toes and ending at the back of your heel. Find the distance one-third back from the tips of your toes and press on the sole of your foot for a few minutes. • Massage both of your ears for a minute. Place the tip of your tongue against the ridge of tissue just behind your upper front teeth, and keep it there through the entire exercise. Repeat the cycle three more times for a total of four breaths. Our nose plays a huge role in our day-to-day emotional lives whether we realize it or not all through the smell of scents. The nose is a direct path to our limbic system which is our system that creates feeling and emotions. Our sense of smell is the most primitive of our senses and very powerful. We can detect at least one trillion distinct scents. The nose connects to the deepest part of the brain which triggers basic instincts, our emotions and memories. Offering your nose aromatherapy is a simple way to improve your overall health and quality of life. Aromatherapy also known as essential oil therapy, is the use of naturally extracted aromatic essences from plants to help promote the health of body. Aromatherapy is an alternative medicine that offers many benefits and has been around for thousands of years. Essential oils can either be inhaled through the nose, applied directly to the skin or added to a bath to work emotionally or physically to improve one’s general state of health. This alternative medicine can help boost energy levels, reduce stress, ease depression, eliminate headaches, improve sleep, strengthen the immune system, reduce pain, improve digestion, and increase circulation just to name a few. The most popular aromatherapy essential oil in the word is lavender. Lavender has a long list of uses and ranges from cosmetics to well-being remedies. Lavender oil is extracted from the flowers of the lavender plant that is fragrant in nature. Having a light fresh floral-herbaceous aroma. Lavender when inhaled is used to reduce anxiety and emotional stress, improve sleep and alleviate headaches. The essential oil applied to the skin can heal burns and wounds, restore complexion and reduce acne and improves psoriasis. Jasmine oil nicknamed “queen of the night” is derived from the jasmine flower that has a strong smell at night. Known to be the most popular oil for improving mood, balancing hormones and low libido. It’s “seductive” strong scent is a natural aphrodisiac that can increase sensuality and has libido-boosting qualities. Clementine oil made from the peel of the succulent fruit with a smooth and shiny appearance is used in aromatherapy owing to its rejuvenating nature. With an amazingly sweet and crisp aroma. It offers purifying properties and uplifts the mood and enhances mental clarity. Rosemary is one of the most powerful essential oils on the planet and is considered sacred by ancient Egyptians, Greeks and Romans. This essential oil is extracted from the leaves of the plant and is part of the mint family. With a woodsy evergreen like scent this essential oil is used to improve memory, relieve muscle aches and pains as well as soothe digestion. Rosemary has become increasingly popular over the last few years for its ability to stimulate hair growth as well. One of the most studied essential oils with numerous health benefits is peppermint. Peppermint is a cross between the watermint and spearmint plant and the oil derives from the leaves. This essential oil aids in indigestion, respiratory issues, nausea, fever, pain relief, blood circulation and has antifungal properties. Due to the extensive research on peppermint oil, you can purchase it in capsules and it is prescribed by alternative medicine doctors. Expect a heightened experience when combining aromatherapy, acupressure (http://spainathens.blogspot.com/2016/09/acupressure-therapy-basics-benefits-techniques.html) or other massage services. Lavender, Jasmine, Clementine, Rosemary and Peppermint are only a few of many beneficial aromatherapy scents offered in the markets today. Each of these 5 aroma scents offer a different aid in promoting the health of body. As part of the Foot Palace Aromatherapy package you can chose one of these essential oils to be applied directly to your skin carried in our oil and lotions, all of which are from Pure Plant-Based Ingredients. This allows your skin to feel nourished, supple, healthy and youthful while rejuvenating your senses and physical well-being. Let your nose choose the scent to improve your senses. Is a reflexology massage safe during pregnancy? As with almost any alternative therapy, you should consult your practitioner before you begin reflexology massage treatments, and you should be sure that your reflexologist has been properly trained and has experience working with pregnant women. As in the case with prenatal massage, some reflexologists prefer to wait until you are out of your first trimester before they will work on you. Be sure to speak with your practitioner and your reflexologist prior to any treatment. A good reflexologists will not work on you unless they’re sure that they won’t cause you or your baby any harm. The basic theory behind reflexology is that pressing specific energy points, primarily in the feet, and in the hands, can simulate organs and boost energy flow. The idea is that this pressure allows blocked energy to flow freely, which increases blood flow to the corresponding part of your body. Reflexologists often work the area between your ankle and heel to stimulate labor and contractions. Unless you’re packed and ready to head for the hospital, make sure that your reflexologist or, for that matter, any massage therapist you might see, avoids stimulating this area for any length of time. Reflexology is often used to soothe the aches and pains in your back and joints that are taking a beating from your growing belly, and can give you relief from some of your most persistent woes. These may include morning sickness, heartburn, swelling in your legs (if not due to preeclampsia), constipation, high blood pressure (again, as long as it appears without the other symptoms of preeclampsia), insomnia, bladder problems, mild cramping, and even hemorrhoids. In addition, reflexology seems to reduce emotional stresses, such as depression and anxiety. Reflexology may even be helpful after you give birth, some studies have shown it stimulates the production of milk. There is no evidence that reflexology is unsafe during pregnancy, if it is carried out correctly by a qualified health professional or a qualified reflexologist who is experienced in treating pregnant women. If nothing else, the massage aspect is extremely relaxing, and that’s useful at any point during pregnancy. Whether you need a spa treatment or relaxing massage, Foot Palace invites you to melt away your pain and stress today! 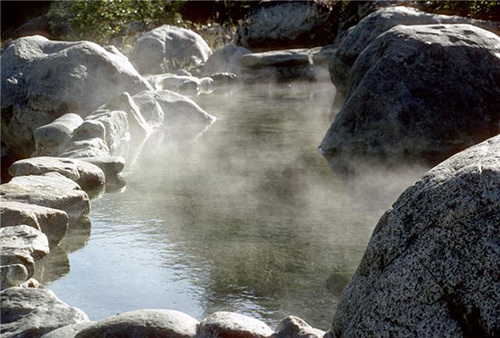 Today spas and hot springs are in the top two tourist attractions and destinations globally. The most visited are located in the Mediterranean and far East. Since modern civilization we have enjoyed mineral baths, foot spas, and other spa related indulgences. Not only do these spa inspired retreats alleviate stress, they improve health – giving sufficient reason for vacationers to flock to spas. The earliest mention of spa practices originated in Greece. The Grecians introduced the first foot baths in the second millennium BC. These spas promoted healing using therapeutic water to relieve fatigue and improve health. Archeologists have confirmed hot springs, mineral baths, and spas existed in nearly every ancient civilization. In the Celtic hot spring baths of England, the spas were believed to purify the body both physically and spiritually. The Japanese foot baths have been the attraction of those on health pilgrimages to hot springs for over 1,600 years. So what is it about these spas and water treatments that created their prominence since ancient times? Well it’s proven that spas detoxify the body and improve circulation, reduce stress, alleviate headaches and many other ailments. Our feet and underarms are pathways that help us discharge toxins from the body. Your feet also contain energy channels which have long been observed by the Chinese. The Chinese foot spa practices include reflexology, which is the use of pressure points to improve circulation and promote detoxification. There are several ways to perform a foot detox, including reflexology, foot pads, ionic baths, and the more traditional mineral foot bath. Though it may be difficult to coordinate regular spa retreats, foot spas offering mineral baths and reflexology are a more convenient addition to every health regimen. Foot spas have been popular local destinations in the East, and are quickly becoming popular in the West. With science acknowledging varied health benefits, many health practitioners have begun recommending clients incorporate regular spa time into their busy schedules. Next time you are searching for a foot spa, be sure to inquire about reflexology services and experience the healing powers that the East has used for centuries.